Shortly after that, the blog was marked as something along the lines of untrustworthy, and a notification appeared once you tried to enter the blog saying “Some people reported this blog for having unsuited content” or something like this. As you can imagine, our traffic went down the drain, and we ended up only getting like ¼ of our usual daily traffic, which sucked big time. Well, I guess we’re not blogging to get famous or anything stupid like this. I mean, that’s pretty much impossible anyway, considering the fact that we’re doing this in this little niche that is yuri blogging. However, at least I can say that I am somewhat competitive. I want to get better, and I just love seeing the blog grow. It motivates me to see that our traffic was growing, so this was a huge setback. Well, we were able to replace that notification with another notification that basically marks our blog as NSFW, which it probably is anyway, but since all adult posts are marked as such, I don’t really see the problem with it. Anyway, moving to our own domain might only be the first step, and if we can’t find a way to get back to where we were before we got reported, we might as well move from Blogger to another blogging service. 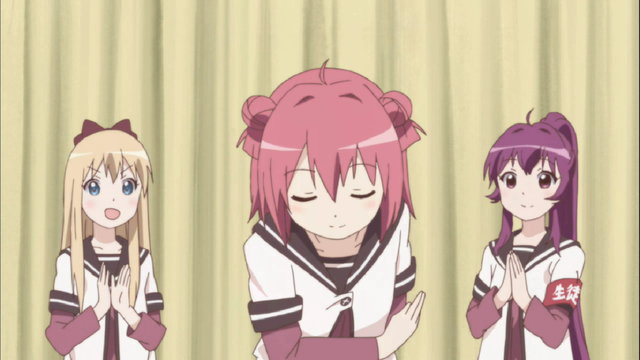 Though, don’t worry, since we have our own domain now, you can pretty much find us at Yurireviews.com at all time, no matter what blogging service we’ll decide on. As the last change, we implemented a donation button. I know what you might be thinking, but let me explain. We ended up actually buying this domain, which will lead to future costs as well. Also, depending on what blogging service we’ll possible decide on in the future, there might be some monthly costs involved too. When I started blogging back in 2013, and as weird as this might sound, I dreamt about being able to generate enough money to be able to buy a new manga each month with the money I make. Of course, it’s not that easy, but that was my little wish. Well, I didn’t create a blog to be able to buy new manga, but I thought that if I could somehow make some bucks with the thing I like doing anyway, that would be amazing. As you guys know, we haven’t made much so far, and basically all the money we made, we ended up using to make our little giveaway in December possible. So right now, since we actually had to spend some money, we decided to just go for a donation button. You’re free to judge us (mostly me) for putting up something like this, but I think it’s a better solution for our readers, as well as Rock and I, than the advertisement we put up so far. Though, feel free to tell us your thoughts about this as well. Since I’m still unsure about this, I’d like to hear what you guys think. Also, as stated in my post about implementing an advertisement some time ago, we will not put up anything that our readers don’t like, so feel free to leave us your thoughts. Lastly, I have two more things to say. First of all, we want to thank all of you guys for your great support so far, and especially during the past few weeks. We received a lot of nice and encouraging words from so many of you. I’d especially like to thank our great neighbor OG for his constant support and advice. Thank you, it was highly appreciated as you already know. So if you have some free time and want to help out, feel free to write us up. We’re currently looking for Japanese and Chinese translators. This entry was posted in Other and tagged YuriReviews by Lena K.. Bookmark the permalink. ^ Wise words from a wise man. Congratulations on moving! I didn't know such things were going on here but it's good to hear it's over. At least I hope it is. Personally, I have no problem with ads, donation buttons, or anything that helps with keeping the blog up, for that matter. Hope the usual yuri traffic comes back soon! Also I don't think there is anywhing wrong with putting up a donation button, you are putting a lot of work into this blog, you shouldn't have to lose a lot of money too. Keep up the good work, you guys are great! Congratulations on the move mighty European ninja warriors! I wish you two the best of luck in this step down the path of awesomeness. Keep up the good work! Just means we can be a little lazier by typing a little less to enter the domain, a great move, a great move indeed. I'm fine with both ads and donations and whatever money you make, you deserve it all. Wish I could help with the doujins, but I'm not confident enough with my Nihongo. I'm happy for you that you now own this domain, it must have been an expensive decision (looking at wordpress' prices scares me off). that spamer was kind of scary though, glad that nothing serious happened (from what I read about ownership on google's blogger it sometimes can get difficult). Both of you will have my continous support, thanks for the awesome blogging! Stay strong and stay with us YuriReviews ! We are with you ! Yeah, donations and ads are ok.
Grats on the move. Some guy attempts to pull out support? Consider an anonymous lurker coming out as some recompense. It's only right to support you guys, and just continue on doing your work.